“On April 5, 2019, USCIS reached the congressionally-mandated 65,000 H-1B visa regular cap for fiscal year 2020. USCIS will next determine if we have received a sufficient number of petitions to meet the 20,000 H-1B visa U.S. advanced degree exemption, known as the master’s cap. According to a research report by CARE Ratings, the total number of H-1B applications approved to the top five IT majors — TCS, Infosys, HCL, Wipro and Tech Mahindra — stood at a mere 22,429, down from 43,957 in 2017, amid the rhetoric against immigrant workers by the Trump administration. In FY18, a total of 331,098 H-1B petitions were approved and companies with the highest number of approvals were Cognizant Tech Solutions US Corp, TCS Ltd, Infosys Ltd, Deloitte Consulting LLP and Microsoft Corporation, which cumulatively received 33,576 approvals. However, the number of approvals reduced by 11%, from 37,393 in FY14. Out of the total awardees, 73% possess Bachelor’s degree and rest 27% have Master’s degree. The median salaries offered by companies in chart 2 were in the range of USD 75,000 to 131,000. Cognizant Tech Solutions witnessed 4,338 denials in FY18, the highest by any company. This was followed by TCS Ltd and Infosys Ltd. The top five companies were cumulatively denied 11,907 petitions, out of which 80% were of extension visas and rest 20% of initial visas. 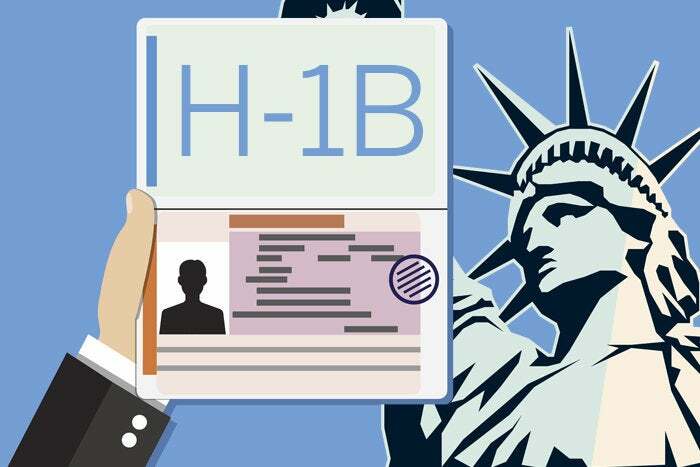 Infosys with 26%, registered the highest number of H-1B visa denials among Indian IT majors, followed by HCL America Inc, TCS Ltd, Tech Mahindra Americas Inc and Wipro Ltd.